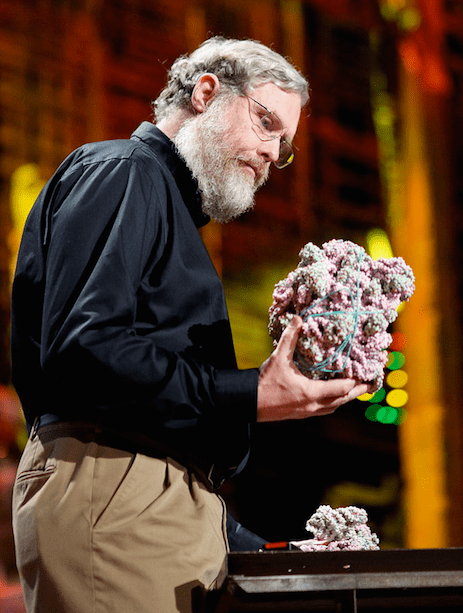 I talked last year about human genetic modification by CRISPR with George Church a year ago. Now we’ve followed up with a long chat on this topic going into much more detail and with questions on recent developments. Each question is listed numerically and then there is a back and forth on that question with George and me before going on to the next question. 1. Paul: What do you think of my ABCD plan for handling human germline genetic modification? Would you add or remove anything from it or change it? What would your plan be? George: *1* Your plan seems similar to mine – possibly less strict, since yours only affects embryos, while I would also include restrictions on adults and children. Indeed, I feel that all aspects of the plan are already fully operational. For all research involving human subjects, we must get: Approval from IRB, Bioethics training (and pass a test), Clarity: NIH requires free public access via Pubmed Central and we Don’t apply therapies to the general population without clinical trial data showing safety and efficacy. Paul: Most scientists I’ve talked to don’t feel they’ve had much bioethics training and nearly none have had this level of involved discussions of human gene editing. Pubmed Central is great, but it takes months for pubs to appear there, this field is moving so fast and paywalls are up for many months in most cases. The other issue is that many countries including some doing quite a lot of CRISPR work have less of the ABC than we do here in the US, but I’m not sure what if anything could be done about that. George: By “Most scientists” you hopefully don’t mean those approved for directing human subjects research, since they/we need to pass a fairly difficult training/testing protocol first. I’m not convinced that the ethics of gene editing are fundamentally different from the ethics of testing other medicines which are covered in those currently required tests. A bit faster than Pubmed Central is Biorxiv, but my point is that clarity is already mandated. Do you have a specific country in mind with evidence of lax ABC? Bioethics issues: get out of the way or a constructive role? 2. Paul: My letter “B” is bioethics consultation. How do you see that and what do you think of Steven Pinker’s “Get out of the way” idea for bioethics? George: *2* I was with Steve when he said this at the Atlanta BEINGS meeting 8-Apr-2015. My feeling is that this was intentionally hypothetical. Steve did not mention a specific person actually blocking research in any way beyond the normal mechanisms required by FDAs and IRBs and hence no reason to get out of the way. Indeed, nearly all of us at that meeting were acting as bioethicists, and from my viewpoint, helping, not hurting, progress. Paul: I’ve also talked with Steve by email and maybe it was my reading between the lines, but I felt like he was trying to provoke more discussion, which is a good thing, but both in his essay and in my interview with him on my blog he was more absolute than most on stepping on the gas. It seems to me finding the right balance/speed to move forward on this kind of research is trickier than has sometimes been portrayed out there. George: “Stepping on the gas”, in practice, means higher funding for more and better clinical trials. This should result in higher levels of safety. Even with more gas you still need to satisfy the FDA. 3. Paul: Is it prudent to use the word “moratorium” now on clinical use of CRISPR in humans or do you agree with the NAS human gene editing meeting in their closing statement in the sense that they consciously chose not to use the “M” word? As we’ve talked, even if there was a moratorium how would it be enforced and what could the penalties be? If it isn’t doable, what should we do? George: *3* I don’t see a problem with the word, but feel that it is redundant, since there is always a moratorium on using unapproved therapies. For example, even though it is approved in Europe, we cannot use Glybera gene therapy in the US — and there is no guarantee that we ever will. It is worth noting that people use drugs illegally in the USA, but with significant legal consequences, when caught. Paul: So if someone were to do germline human modification without FDA approval here in the US, should they be penalized and if so how? George: If anyone distributes unapproved drugs in the US, they face the FDA Office of Criminal Investigations (OCI) and felony imprisonment. My impression is that the infraction has to also involve medical harm and/or fraud to get their attention. A law on human modification coming? Paul 4: Could Congress pass a law on human gene editing? If they did, how might that be harmful? I can imagine it overreaching an impeding even non-clinically focused CRISPR research. Paul: But what about that rider on the FY2016 federal budget that said the FDA could not even consider any requests related to human embryo modification? Do you think most efforts in this area would be privately funded? George: About 75% of all clinical trials are paid for by companies (not the government) – so, yes, most sperm editing efforts will be privately funded — just like other therapies. What could go wrong with CRISPR’ing people? 5. Paul: If someone were to use CRISPR in the near future to try to make a genetically modified person, what could go wrong? I can imagine off-target effects. There could be unexpected consequences even with perfect targeting. Other considerations? George: *5* Gene editing is already used to make GM-persons (curing Leukemia and HIV-AIDS). What could go wrong is that editing enzymes could hit off-target sites in a tumor suppressor gene, like TP53. The rate of such event for the current best practices seems to be undetectable (much less frequent than spontaneous mutations). If by GM-persons, we limit our meaning to heritable DNA changes, then the most likely use would be changing deadly DNA variants into their common healthy versions. This should be far safer than testing new drugs, which impact complex human systems in unknown ways. Paul: It seems like the experimental flow with a path toward germline human genetic modification eventually gets more complicated than with ordinary drug approval processes because at some stage one is going to literally have to produce a new human being to test if this will really be safe and effective in humans. This is unique in that the product of the experiment is a human being. If the experiment doesn’t go well, what does that mean for the person who was created? I suppose one could argue it is not so different than the risks of normal reproduction which aren’t that low, but the extra step of gene editing makes it feel different. George: Many (and ideally all) therapies need to be tested for safety with respect to impact on germline or pregnancy. For each of these, we “literally have to produce a new human being to test if this will really be safe”. For example, thalidomide was aimed at anxiety, insomnia, gastritis, tension and nausea – and inadequately pregnancy-tested. Anti-cancer agents can affect the germline. Gene therapy isn’t “unique” in this regard. CRISPR as a basis for weapons & talking with national security? 6. Paul: Do you think Clapper was over the top on raising national security concerns about gene editing-based WMDs a couple weeks back? Even if that was over the top, could someone make a CRISPR weapon and do some harm even if not “mass destruction”. George: *6* Not over-the-top. His framing was “proliferation” and “dual use”. Whenever you see a new technology which is very powerful and very inexpensive, then you really should raise a red flag as soon as possible. My team made some of the first such warnings about CRISPR gene drives in 2014 (both accidental and intentional problems). I don’t think it desirable to spell out the worst case scenarios, but a mild example of dual use could be gene drives used to exponentially spread herbicide sensitivity DNA into invasive US weeds (white hat) or spread resistance (black hat). Paul: Have you been consulted with by the US government on these kinds of security issues? If you had, would you be allowed to tell me? Whether you have or not, what would you tell them? Also, when I interviewed Harmit Malik on these topics, he pointed out the concern that the guide RNAs in gene drives, once out in the wild, could mutate and lead to targeting of new genomic domains and he also mentioned the possibility of horizontal transfer. Are you concerned about these too? George: Yes, I am concerned about these and many other novel technologies. That is why a considerable amount of my time is dedicated to safety engineering and communication of risks. Yes, I have discussed this with many branches of the US government. A mutant gRNA would not create a gene drive because it would not be flanked by the correct homology regions. Horizontal transfer should be undetectably low for similar reasons. Physically contained lab “field” trials with and without artificially increased interspecies contact will be valuable components of rigorous testing. 7. Paul: Are you more concerned about accidental release (what I called a “gene spill” on my blog) of a nuclease-powered gene drive out into the wild? Is it realistic to think a reverse gene drive could take care of that? I’m skeptical about such a clean up attempt. George: *7* Yes. We should be skeptical about any new technology until tested. We have recently published experimental tests of gene drive reversal (DiCarlo JE, Chavez A, Dietz SL, Esvelt KM, Church GM Safeguarding CRISPR-Cas9 gene drives in yeast. Nat Biotechnol. 2015), which showed very good efficiency. We expect to do many more tests in many species. Being prepared for both bioerror and bioterror seems prudent. Paul: Regarding possible bioerror, which I also think is the more pressing concern at the moment at least, have there been or are there planned any meetings to hash out best practice guidelines for keeping gene drive organisms from escaping? George: Yes meetings are planned, for example in Oahu IUCN Forum (Sep-2016). Some of this is also being done via internet and journals (e.g. Safeguarding gene drive experiments in the laboratory. Science 2015). Targeting Zika, extincting all mosquitoes? 8. Paul: Also regarding gene drives, some have said it is time to wipe out Zika transmitting mosquitos or even all mosquitos on Earth. Thoughts? George: *8* GM-mosquitoes are already approved and fully deployed in some countries to push down mosquito populations, for example, using the “sterile males” approach. Unfortunately the mosquito population bounces back (due to strong darwinian selection working against the strategy). My team has advocated “stable gene drives”, which make the vector (mosquito or rodent) resistant to the pathogen (Zika, Malaria, Lyme, Dengue) — that way having darwinian selection on our side (or at least neutral). Before wiping out any species, a solid EPA assessment of impact would be required, as with other potential environmental releases. Paul: With no disrespect to the EPA, are they up to the task of this assessment? I guess they have assessed GM plants for years, but this technology is so new and evolving. It seems like a tough task for anyone since it is unprecedented in what it would do. George: Not just GM plants, but also GM salmon, mosquitoes, microbes, etc. and not just EPA, but USDA and FDA collaborating. Some of these projects date back to 1985 and represent many years of research and dialog. Possible benefits of human genetic modification? 9. Paul: Realistically, what do you think are the most likely benefits of human genetic modification in the next 5 years? 10-20 years? George: *9* Initially, mainly correcting disease-bearing genes into healthy versions (see *11*). Secondly, eliminating viral infections in adult gene therapies (HBV, HCV, HIV). If those prove safe and effective, then those anti-viral therapies might be repurposed for prevention. Next in line are a few therapies that already look promising for delaying or partially overcoming cognitive decline due to Alzheimer’s disease or other aging processes. Some of these could be repurposed for younger, healthier people. Paul: How would genetic modification work for tackling neurological disorders like Alzheimer’s? Germline or gene therapy? Specific target alleles to go after? George: PGD-IVF and prenatal screening are used to prevent adult onset diseases (HD and BRCA1). Genetic counseling or modification could similarly be used to prevent Alzheimer’s (APP, PSEN1, PSEN2). (Plus dozens of well-characterized genes impacting early onset intellectual disabilities). Gene therapy trials for Alzheimer’s include NGF, NEU1, NGFR and miR-29b. In addition, simple genetic modifications in mice can significantly enhance performance on cognitive tasks, involving genes like FOXP2, PDE4B, GRIN2B. Clearly, synthetic biology is not limited by disappointing GWAS studies on cognition. Many additional genetic modifications (at all stages of development and aging) impacting cognitive enhancement and prevention of cognitive decline could move into this gene therapy pipeline in the near future. George: *10* Gene editing off-target error rates are already far below background. In contrast, flying in a jet or taking chemotherapy is far above normal mutational background. We measure such toxicity issues in clinical trials — as is already happening (see *5* above). Paul: Does that mean you are comfortable with the current error rate as being tolerable? George: Yes the current off-target rates are much better than tolerable (given current software, Cas9 improvements and empirical testing). 11. Paul: We’ve all heard a lot of talk about “CRISPR’ing human embryos”, but wouldn’t it make more sense to gene edit human germ cells such as spermatogonial and oogonial stem cells or even primordial germ cells? Then you could screen potentially millions of those for the best ones in terms of accurate gene editing. George: *11* Yes. I pointed out the potential advantages of sperm over embryos in my 1-Dec-2015 presentation at the NAS gene editing meeting and my 25-Feb-2016 piece in the Washington Post. The main reason for sperm editing maybe providing non-abortion options for getting healthy babies when both mother and father are unaffected carriers of very serious genetic diseases like Tay-Sachs. But you should not need to screen “millions” of spermatogonial stem cell clones, since on & off target errors are so minimal, you probably only need to screen five clones. Indeed, we demonstrated this in Yang L, Grishin D, Zhang CZ, Wang G, Homsy J, Cai X, Zhao Y, Fan JB, Seidman C, Seidman J, Pu W, Church G Targeted and genome-wide sequencing reveal single nucleotide variations impacting specificity of Cas9 in human stem cells. Nature Comm. 2014. Paul: Should we do further analysis though such as functional studies of the targeted cells? Could the cells be immunogenic due to the transient presence of Cas9, a bacterial protein? What about having a perfect edit with no off target effects but an unintended consequence such as hitting a transcriptional regulatory elements for a different gene? In other words, are there other risks to consider that don’t make it onto most people’s radar screens beyond off-target effects? Do you think this could end up in 5-10 years being primarily implemented via existing fertility clinics? George: Yes; functional studies should be part of clinical trials. The Cas9 protein would be degraded (and hence non-immunogenic) well before the clones are used. Off-target regulatory effects seem even less likely than off-target cutting, and relatively easy RNA analyses can be done on the clones to test this. Yes; probably implemented via existing fertility clinics. 12. Paul: Can you please weigh in on mitochondrial transfer/3-person IVF? Some claim it isn’t a form of human genetic modification even though there are dozens of mitochondrial genes. George: *12* Mitochondrial gene transfer is germline gene therapy. You could argue that it isn’t “modification” from the norm, just a return to a healthy genome. But if so, then the same could be said of gene editing of sperm from a disease version to the healthy DNA version. Paul: I agree. I guess the “norm” could be an issue though. What is the “norm” and are other genetic states “worse” or “better” than the norm? George: For hundreds of deadly diseases the norm will be the non-deadly allele and these will probably be the main foci of clinical trials. The point is that germline vs soma is not a sensible dividing line. Deadly vs normal alleles -or- safe vs unsafe therapies are more medically relevant discriminators. 13. Paul: We’ve talked before about transhumanism and I asked you if you considered yourself a transhumanist. You said “yes”, but I may not have included all the subtleties that would have provided needed context. Can you please expound on that? As we’ve emailed, you’ve also talked about how people are already in some senses transhumans. What do you mean? George: *13* Yes. My 10-Mar-2015 email, mentioned my framing, surprisingly omitted from your blog and book. My definition of “transhuman” is someone whose culture is not comprehensible to ancestral humans (or indigenous peoples today). Ancestral human archetypes would have great trouble understanding why we celebrate the recent gravity wave evidence supporting the 100 year old theory of general relativity. They would scratch their heads why we have atomic clocks and GPS satellites so we can find our way home. We have expanded our vision from a narrow optical band to the full spectrum from radio to gamma. We can move faster than any other living species, indeed we can reach escape velocity from earth and then survive in the very cold vacuum of space. If those characteristics (and hundreds more) don’t constitute transhumanism, then what would? If you feel that the judge of transhumanism should not be fully ancient humans, but recent humans, then how do we ever reach transhuman? We may always be capable of comprehending the next technological increment. If we do accept that we are transhuman already (with most of us asking for more), it doesn’t make sense to single one person (me) out in your book. Paul: The reasons I singled you out in my book is that you are my favorite geneticist and a very influential person. To me at least, the fact that you are so interested in transhumanism is very significant. For better or worse, you are not an average Joe. I mentioned this before in our discussion, but if we lost all our technology and libraries of information of various kinds, then I’m not sure that we intrinsically really are transhumans. For me the transhuman potential would need to be coded into us to really transcend our past selves in a more permanent way. Our ideas and technologies are potentially transient, aren’t they? I can give a few examples of what I mean. Take bones. Today we can put in a titanium pin and get someone with a serious displaced fracture pretty much back to normal. In past centuries they would have died or been functionally imperiled. We might soon even be able to use stem cells to regrow the bone. But the moment that person dies, even if we consider them a transhuman, that state is gone. One could say it was a transient transhuman state. However, if you make a new human being with a germline gene edit in a certain gene that confers a unique bone architecture, now you’ve made a heritable change to the species. I’m not saying we should do this, but rather illustrating a difference. George: The scenario of “if we lost all our technology” seems arcane, unlikely and not relevant to decisions at hand. Furthermore, many technologies last much longer than mutations. Sticking to your bone case, mutations in LRP5 can give humans effectively unbreakable bones, but these mutations come and go over the course of centuries. In contrast, technologies like combustion, knives, wheels and agriculture are effectively permanent over many millennia. DNA is not necessarily exceptional in this regard relative to other heritable components of our species. 2nd human embryo CRISPR paper. 14. Paul: Overall, what do you think of the new, now 2nd paper on CRISPR’ing of human embryos from the Fan group? It seems to have identified quite a few technical hurdles along the way as they did their studies. Indels where they wanted precise edits. Chimerism. And more. Are these kinds of issues going to be avoided by newer technological advances? It seems likely that we’ll see more of these papers where there is kind of a “so-so” technological outcome; do you think such work is valuable and advances the field, or there’s not much point to it? George: *14* None of these are new issues. The first use of Cas9 in human stem cells (genetically and developmentally more normal than the triploid cells) demonstrated precise edits. Mali P, Yang L, Esvelt KM, Aach J, Guell M, DiCarlo JE, Norville J, Church GM (2013) RNA-guided human genome engineering via Cas9 Science. And the chimerism is solvable, as described in *11* above. Also, as I’ve noted in *11*, modifying gametes to save embryos seems preferable to modifying embryos directly and hence putting them at risk. Very illuminating interview. Not sure the answers were all in response to the questions, but that just makes for further exploration and questions. I found George’s concept of “transhuman” surprising, to say the least. The examples he gives seem to me to be merely new technologies or new ideas or environment modification. I doubt these things any way distinguish us from our hunter gatherer ancestors of 100,000 hears ago, or more. They also innovated according to their need. Whether or not they “understood” or “appreciated” the detection of gravity waves is just a matter of context. Playing George at his own game, one wonders how many people either understand or appreciate all our great technologies and discoveries. My bet is that there is not a person alive on the planet today who knows all of mathematics, let alone appreciates it all. That’s just one discipline. So, I would say that George throws up a metric that may on the one hand make us all “transhumanists” but on the other hand makes us all “subhuman”. Urgh, that’s 100,000 years ago. I rest my case, this transhuman hasn’t even mastered a keyboard. So, let’s review the case against these villains. First humans brought the Zika virus to Micronesia and infected the local mosquitoes. There, the virus mutated — probably caught a gene-edit from a drug party with an unpleasant human host — and became more dangerous to the human nervous system. After a few years, a mosquito flew across to South America and… BULLDUST! Nope, it was a supposedly intelligent human animal that brought the mutated Zika virus from Micronesia to South America and infected the local mosquitoes. Let’s face it, mosquitoes already had plenty of other problems of their own to deal with. So what’s next on the human agenda, “wipe out all mosquitoes”, of course! Reminds me of the time when some intelligent ape brought the fungus across to North America and killed off all those bats… “White nose syndrome”, I guess it must be good because it’s “white” and bats are sort of dark and scary. Kinda like “exponentially spread[ing] herbicide sensitivity DNA into invasive US weeds (white hat) or spread[ing] resistance (black hat).